Google recently started the Go Program which is a way of creating optimized and light weight version of it's apps for low end devices and also those with slow internet connection. Some of the already optimized apps are YouTube Go, Gboard Go, Assistant and now Gmail Go. The Gmail Go which was recently released by Google is available for download on the Google Play Store. 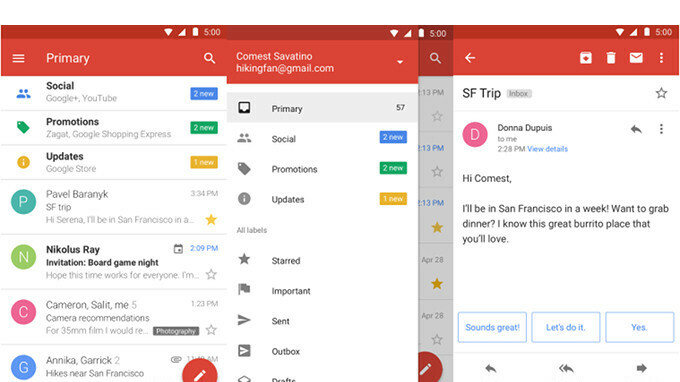 According to Google, “the Gmail you love” has just got lighter and just as fast. The Gmail Go is faster and smoother than the full pledged Gmail app but you will definitely loose some of the features you get on the main app. With the Gmail Go app, you still get features like the multiple account support, 15GB of free storage, anti-spam features, as well as smarter inbox. The app is currently available only in a few selected countries and only compatible with a number of devices, but the list is expected to expand in the coming weeks.